Named one of 2015. 2016 and 2017’s Best Lawyers in America, a six-time Super Lawyer Rising Star, two time Super Lawyer, former past president of the Leander Foley Matrimonial Inns of court, and Fellow with the American Academy of Matrimonial Lawyers, Attorney Rebecca Millenbach’s resume speaks for itself. Having practiced law since 2001, Attorney Millenbach has focused her talents exclusively on family law since 2005. 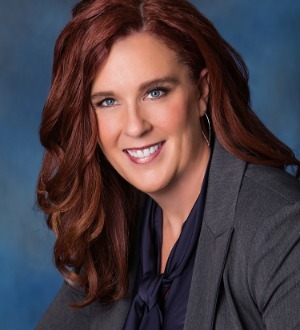 Through years of experience, Attorney Millenbach has acquired the unique ability to delicately navigate the difficult and emotional matters imminent in every case and finds solutions for her clients through knowledge of the law, empathy and understanding. If parties cannot settle issues, Attorney Millenbach’s passion to protect her clients’ becomes obvious by her strong courtroom presence; one that get results.